We have a fundamental belief in providing for anyone with the talent and drive to prosper here. Our student support must provide more than access through scholarships. Student support must match the vision and values we have, to ensure each student can take full advantage of the network of opportunities Juniata provides. The great majority of students who attend Juniata do so with some financial assistance from the College, and we have a fundamental belief in providing access and support to anyone with the talent and drive to prosper here, regardless of their ability to pay. As colleges and universities find themselves increasingly under pressure to keep high quality education affordable for students and their families, those with flexibility, distinction, and resources will excel. 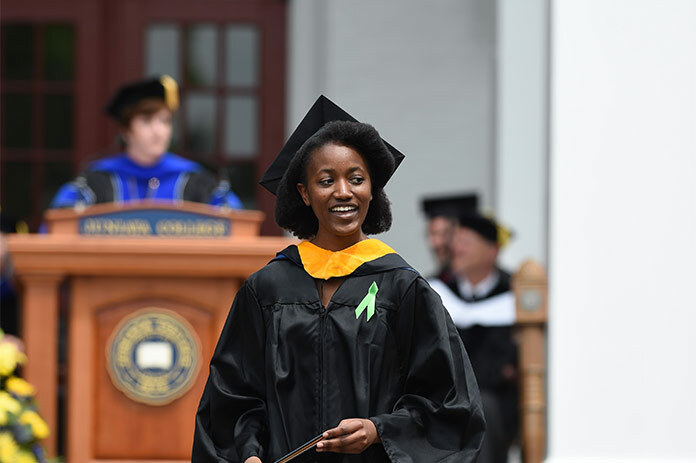 Growth in endowed scholarships means Juniata will make it possible for students to benefit from a life-changing education and to go on and change the world. Juniata expects all full-time students who are admitted to be able to graduate in four years or less. In fact, at recent graduations, 92-96% of the graduates had completed their degrees in four years or less. This has been possible thanks to our students' motivation and focus, but also because of endowed scholarships that help make Juniata more affordable. The minimum gift for endowing a scholarship is $50,000, which produces $2,500 per year, enough to provide significant financial assistance to one student. Individuals have endowed scholarships with gifts of as much as $500,000, yielding $25,000--enough to support more than ten students, or to provide one award covering most of tuition for a single student. Scholarship funds pay costs remaining after all other eligible sources of grant aid are exhausted. In some cases, exceptional scholarships, established with principals in excess of $750,000, comprehensively provide for tuition, room, and board. How are students chosen to receive scholarships? While the most helpful scholarships are open to any student either with need or who shows exceptional academic talent, donors do have the ability to designate scholarships for particular departments or disciplines (physics, English) or for geographic areas (students from Pennsylvania, Chester County, rural areas, etc.). Advancement officers can help individual donors best express their wishes.